Too busy to make dinner from scratch tonight? Make these delicious Buffalo Chicken Kabobs in just 20 minutes…you can’t beat easy AND delicious! 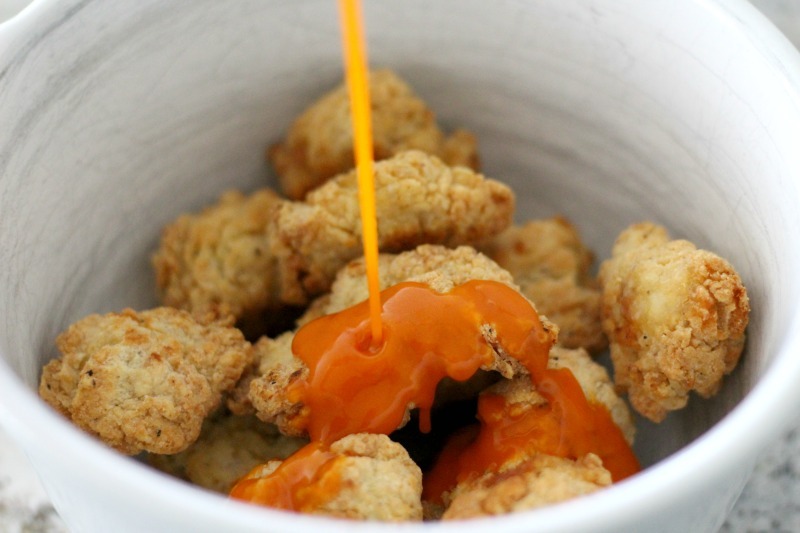 If you’re a regular reader of my blog, you already know that I’m a big fan of easy recipes. The fewer ingredients, the better! I love my mother-in-law but she once gave me a cookbook where the first page of each recipe was a list of about 100 ingredients, and I’m only slightly exaggerating. Needless to say, that book has not seen the light of day is off gathering dust somewhere (please don’t tell her…it’s the thought that counts!). Now that school is back in session, life is busier than ever and sometimes it’s late by the time we get home. I’d love to be able to go home and channel my inner Julia Child but there’s homework to do, lunches to pack and laundry to wash. Plus, I don’t know about you but I’m just way too tired to whip up a gourmet meal at 7:30pm. Since I have to come up with something to feed my family, I’m trying to create more simple recipes so that I can have them on the back burner when I need them. 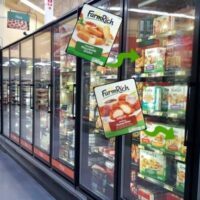 The last time I was at Walmart, I saw some yummy looking Farm Rich products in the freezer section and thought I’d throw a few in my cart. 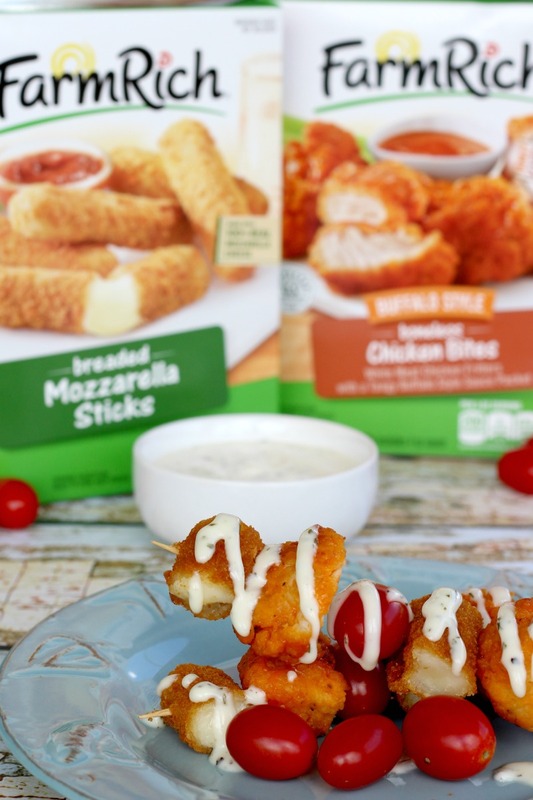 They looked really good and since my girls already love buffalo wings (and cheese is a given), I picked up the Buffalo Chicken Bites and Mozzarella sticks. Then the proverbial light bulb came on over my head. I’ll admit, it was a little dim since I was so exhausted but luckily, still worked! 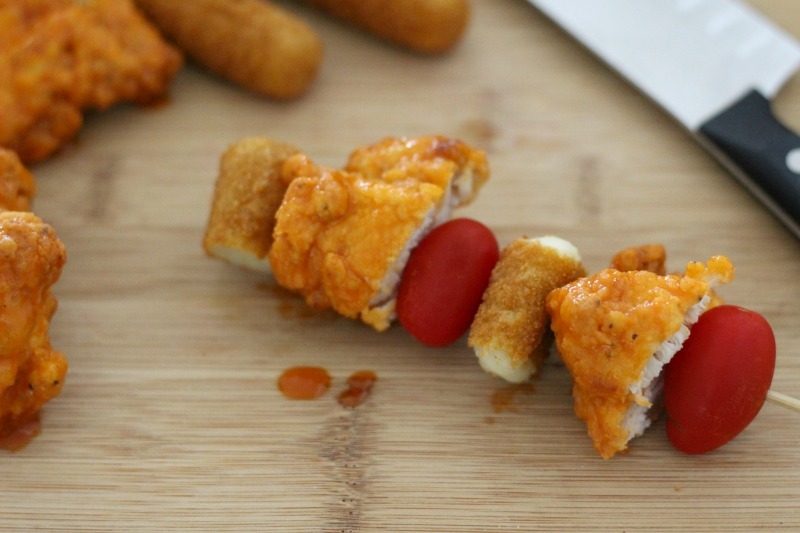 I knew just how to make these Farm Rich products into a super easy dinner my kids would love! 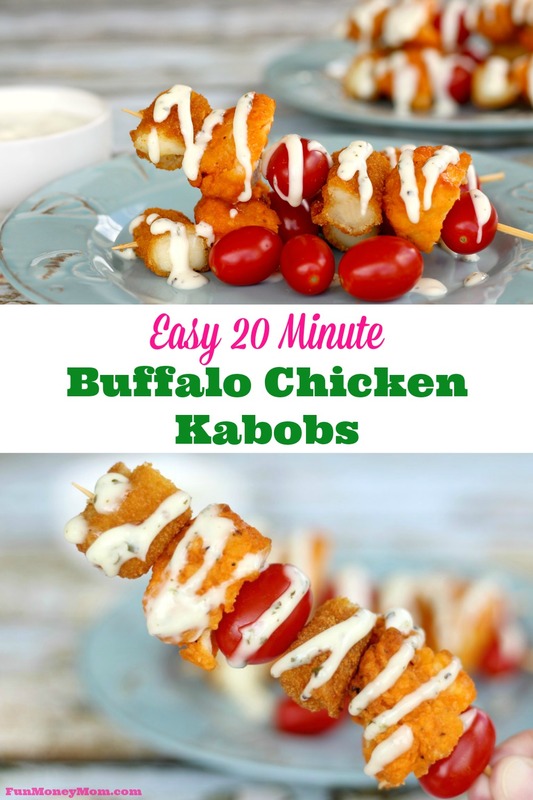 Since my girls love bite sized foods, Buffalo Chicken Kabobs would be perfect and I could whip them up in a hurry. I picked up some cherry tomatoes and ranch dressing and I had all my ingredients. Yes, just four ingredients…you’re welcome! We made it home and I got started. First, I cooked the chicken bites and mozzarella sticks according to the directions on the package. 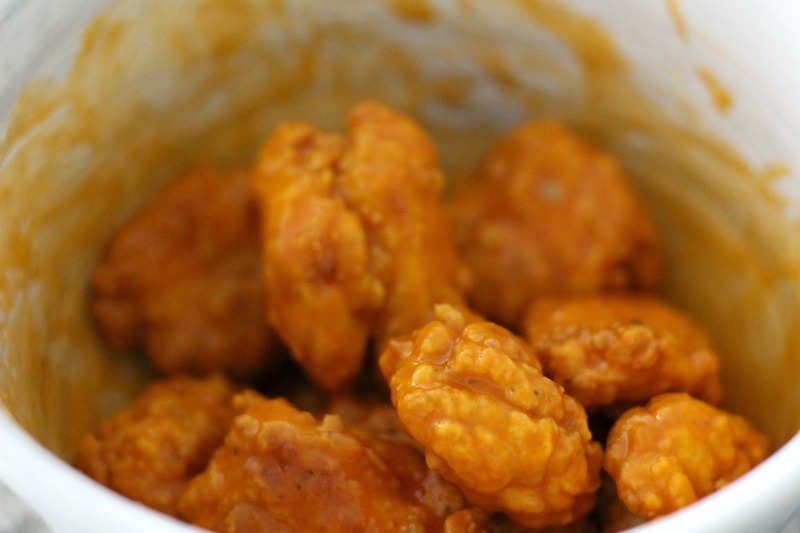 Once the chicken bites were cooked, I tossed them in the buffalo style sauce. Since the bites are so big, I cut them in 1/2 so they’d stay on the skewers (and be easier for my girls to eat). 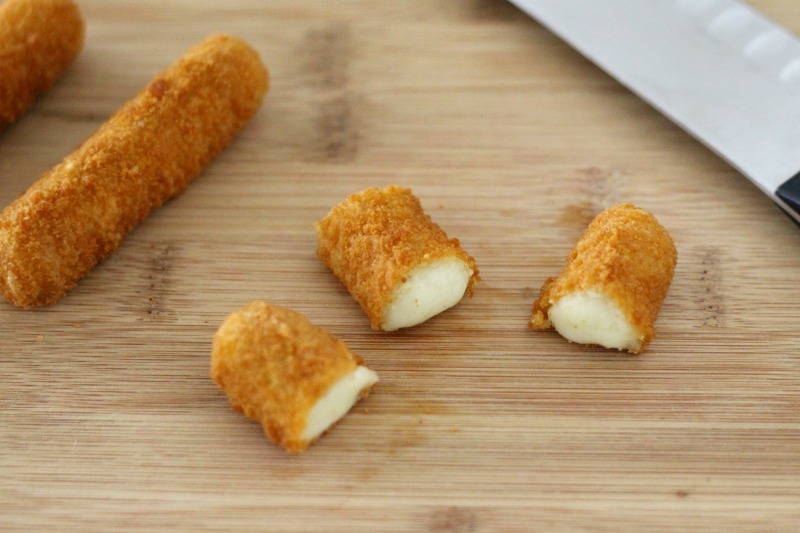 Then I cut the mozzarella sticks into thirds. I put them on small skewers with cherry tomatoes (gotta get those veggies in). Finally all they needed was a little ranch dressing. I drizzled some over the top and put a little more in a small bowl for dipping. I added a few more tomatoes on the side and dinner was ready in just 20 minutes! The great thing about these Farm Rich products is that you can stock up so that you have them on hand when you need them. If your errands take a little longer than usual or something comes up that leaves you no time to make dinner, just pull these out and you’re ready to go. You can find a lot more great recipes on the Farm Rich Falliday Page. These are also perfect for when unexpected guests stop by. A few minutes in the oven and you have some delicious food to serve your friends, either as part of a recipe or just on their own. Sign up for the Farm Rich Loyalty Club for exclusive offers, news, quick recipes and promotions. Busy moms don't always have time to prepare a home cooked meal from scratch every night. 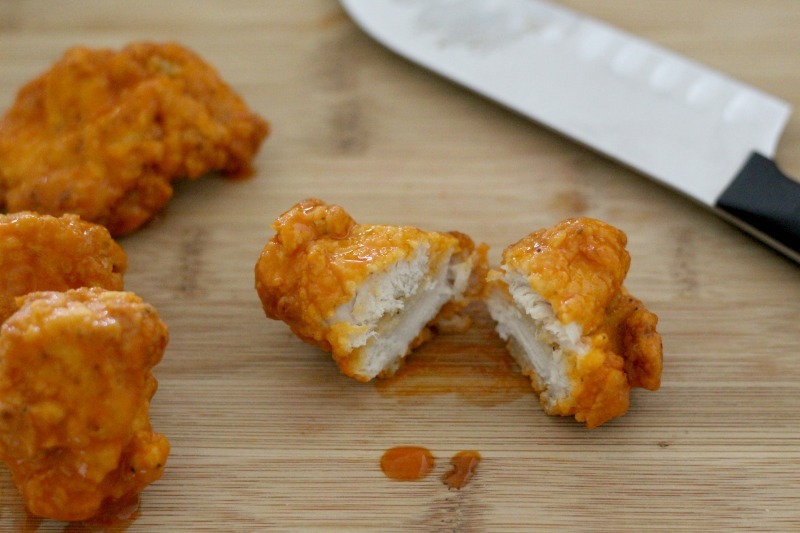 Moms will love these Buffalo Chicken Kababs because they're quick and easy and the family will love them because they make such a fun and delicious dinner. 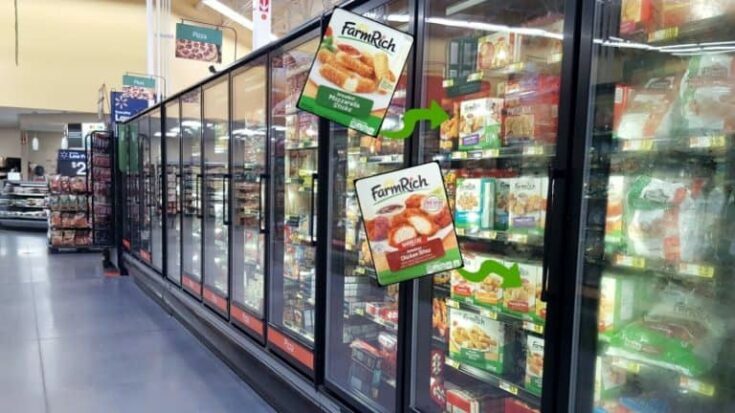 What quick and delicious recipe would you make with Farm Rich products? Want to learn more about what they have to offer? Follow Farm Rich on Facebook, Twitter, Pinterest, Instagram and YouTube. I’m with you! If I can make something simple that the family loves, I’m a happy mom! Looks amazing! 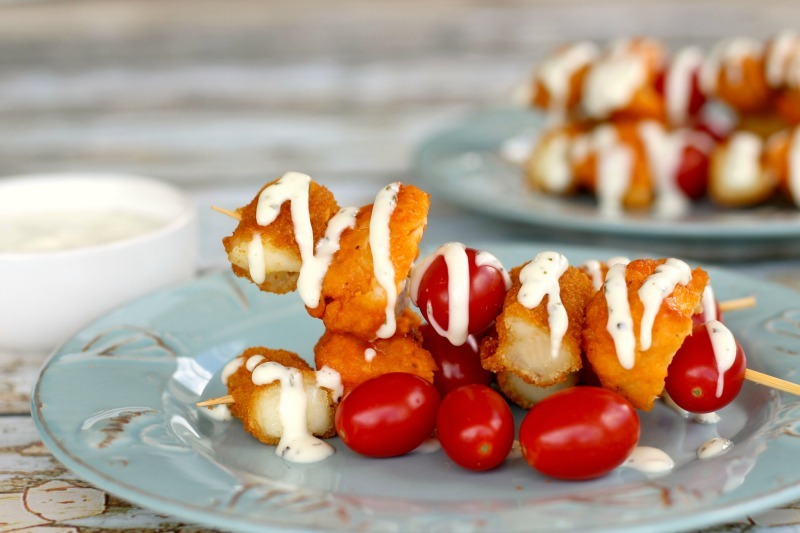 My kids love food on a stick, too. 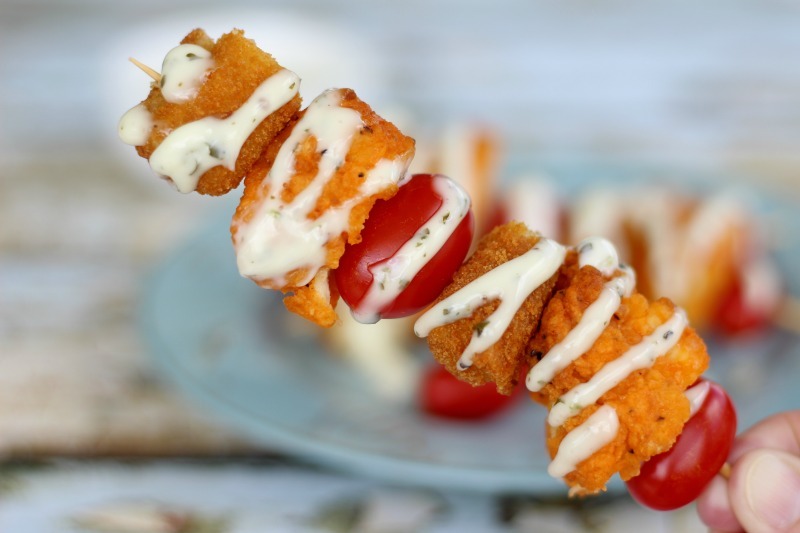 Something about food on a stick just screams fun! This is so smart! I think this will be a great party food too! You’re right and I can mix up the sauces too! Great idea!